Canva makes graphic design easy by providing thousands of ready-made, professional-quality templates for users to work from. Every template is highly customizable, letting users change the font and colors to suit their preferences. Canva also supplies an extensive library of photos and clip art, and even allows users to import their own images for easy branding. This makes the service ideal for social media marketing, content branding, and press releases. Additionally, while already boasting a user-friendly layout, Canva provides a huge library of tutorials for the platform. The free version of the Canva shows off many of its best features but is severely limited. However, for only $12.95/month, businesses can enjoy the service’s full capabilities, including team functionalities, user-created templates, and the ability to upload custom fonts for better branding. For companies who want strong visuals for their social media campaigns, but can’t afford a graphic design department, Canva is by far the best choice. Animoto is a remarkably simple drag-and-drop video editor for quick, stylish content. Like Canva, the service comes with a host of templates but allows the user to create their own as well. Customization is also easy, with a large library of images, fonts, and music to choose from. 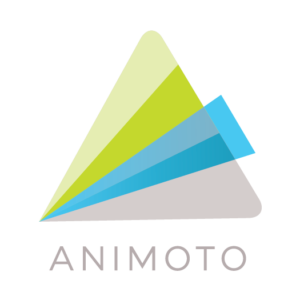 Animoto does not require any previous experience, making the service perfect for the marketer looking create engaging content for social media without hiring an outside contractor. For the fast majority of businesses, the best pricing package will be the ‘professional’ level. At $22/month, it allows users to replace the Animoto watermark with their own branding, unlock far more customization options, and even license their videos to consumers. Overall, the service provides an easy way to make impressive content without any experience and is well worth the cost of providing interesting, conversion-driving content. MailChimp is currently the largest marketing automation platform, and for good reason. The service makes it easy to coordinate email campaigns, integrate with social media marketing, and even collect data on clicks and ROI. MailChimp also provides a feature allowing marketers to run their data through e-commerce databases to better target prospects. On top of all that, the layout is clean and intuitive, allowing marketers to quickly grasp the tools of the platform. The free version of MailChimp is a powerful email campaign platform, with a truly impressive range of tools. But while the free version does include almost every feature in the paid version, it strictly limits the number of contacts a business can save, and the number of emails it can send per month. Starting at only $10/month, however, the contact and emails limits are dropped, and some extra features are unlocked. Given the range and depth of the service, MailChimp is ideal for almost any size of business looking to run a powerful email campaign. Unlike other entries on this list, the Hootsuite platform explicitly targets professional marketers. The service has a detailed focus on social media, with tools including automated post schedules, content curation, and social ROI analytics. Hootsuite also has team collaboration capabilities, with checks to ensure only approved content goes live even when multiple people are posting. Finally, the service allows in-depth social media trawling to see what people are saying about a business, its competitors, and relevant hashtags and topics. Depending on the needs of a business, and the depth and breadth of the social media campaign, a business can pay anywhere from $19/month to $599/month. For a small operation with a 2 or 3-person marketing team, the best deal is the ‘team’ pricing level at $129/month. 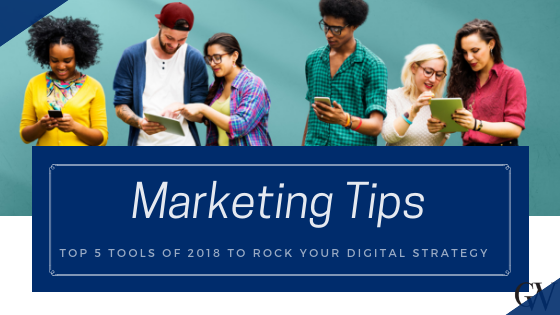 This is a far greater investment than most entries on this list, but for a professional social media marketing platform of this caliber, the ROI is worth the cost. Clickfunnels is sold as a cohesive, all-inclusive, and hands-off service for businesses with little to no marketing experience. Users can choose from a range of different funnel templates depending on their goals, and customize the individual pages. The service includes Facebook and email automation, a drag and drop webpage editor, and A/B split testing for landing pages, providing a well-rounded suite of tools for new marketers. Clickfunnels can also be integrated with third-party email services such as MailChimp to expand its capabilities. The pricing package best suited to small businesses costs $97/month, with limited funnels, landing pages, and landing page traffic. This might seem pricey for an entry-level service, especially with restrictions on some tools, but for a business with no marketing department, it could be worth the investment. Clickfunnels provides an impressive toolset, covering every part of the digital marketing process, and making it easy to drives conversions.